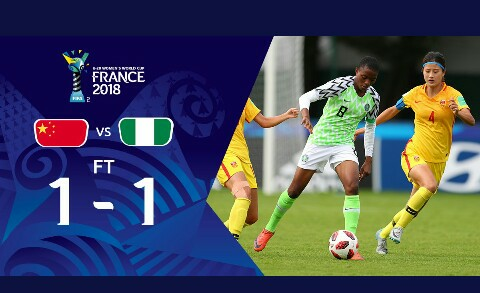 The Super Falconets have qualified to the next round of the FIFA U-20 world cup. 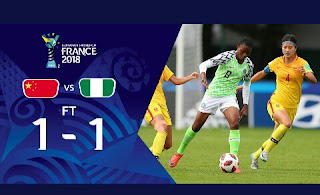 Nigeria held China to a 1-1 in the final group game. China took the lead after 41 minutes when Zhang struck. But a 94th minutes effort by Rasheedat Ajibade got the leveler.